This week's Thursday Twister came from a tip from Terry B who writes: You could not restore this car for the asking price........if this is what you want??? And I like it. 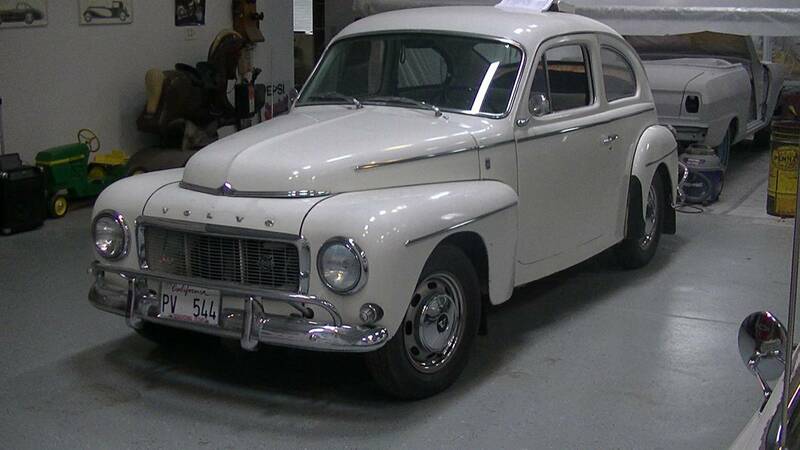 I like any car where the cost of restoration is far less than the asking price, like on this 1965 Volvo PV544 offered for $9,600 near Sacramento, CA. If add is up, car is still for sale. Please read the entire add before contacting me for an appt. Thank you. and I am negotiable on the price. 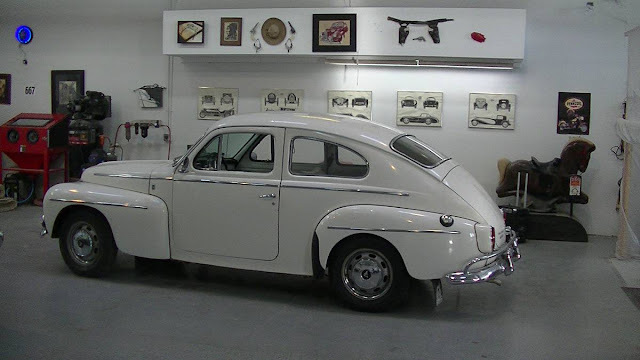 Car underwent a full nut and bolt restoration back in the late 80's. Work was performed by a very meticulous mechanic. Car shows well. No dents no rust. Presents very well. Need to see it in person. Runs and drives nice. Whitewalls are peeling off tires. Dash is very clean with new carpet, headliner ,seats ,door panels, everything is very clean. Extra engine clutch bellhousing, passenger door, hood, fenders, grills, windows, window frames and 6 boxes of new and used parts. Lots of manuals. These cars get 30 mpg and are about as reliable as a car can get. The B18 engine is considered nearly indestructible. Do the research these cars are climbing in value and this one is priced right. It is the cleanest example I have personally seen. I currently have a clean title and on a non op. All fees are current.Personal plate PV 544 comes with the car it is the only one in the state of California! So, I ask you to find me the best cars that are being offered for less than what the current owner spent on making it spiffy. Love this! Wonder what it would be like as a DD, like, how would it do at highway speeds... I also wonder if it would be easy to add a couple of (reversible) IPD mods to make it handle a little better. I'm in the process of preparing my '04 V70R for sale and the older I get the more I pine for simple, simple, simple vehicles. Depends on what you're thinking for freeway speeds. With an OD, it should cruise fine at 65-75, without the engine will be a bit strained. I'm rehabbing a '66 122S wagon (220) and have used it over the summer as a DD without trouble. A bit strained sounding. Engine would be fine, but would let you know it's there. Got a '64 I drove to work all week. The 3 point belt is what makes it nice for me. I feel weird without a belt through conditioning from modern cars. The Brakes are great, pickup from a stop is modern , and the ride is soft but way responsive too. I must check and see what the rear end ratio is because it's really winding out at what the speedo says is 60 and I haven't put a tach in it yet.